Micheladas are a very popular drink here in Austin. 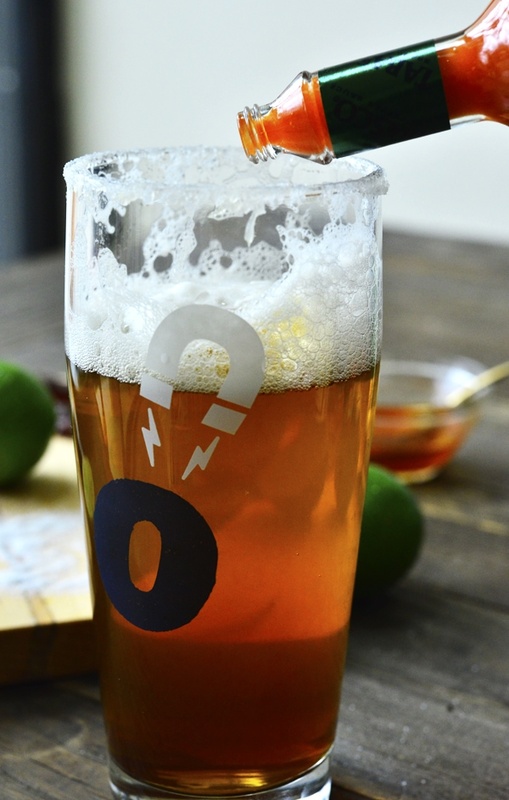 I remember when I was first introduced to one it sort of blew my mind, it was all of the savory spicy things I loved paired with my favorite refreshing beer. 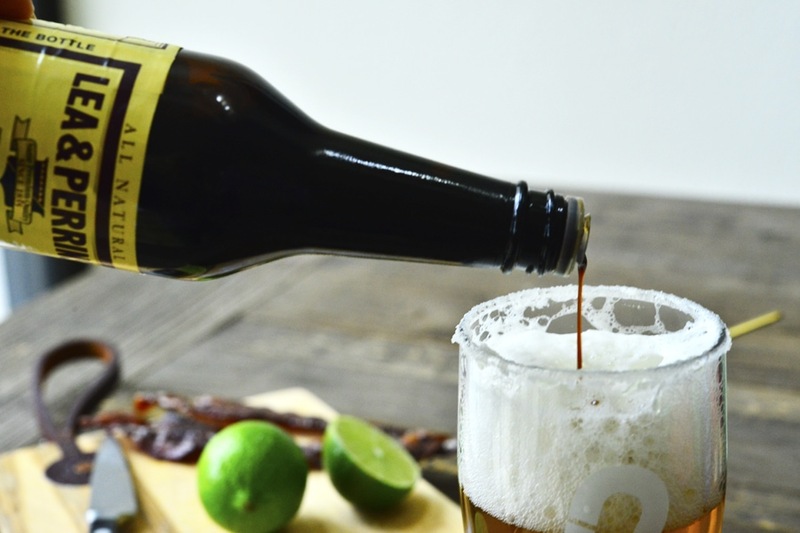 I was recently introduced to a beer that I’m kind of crazy about so I’ve been playing around with it in all of my recipes too and I decided it was time to share it with you all as well. 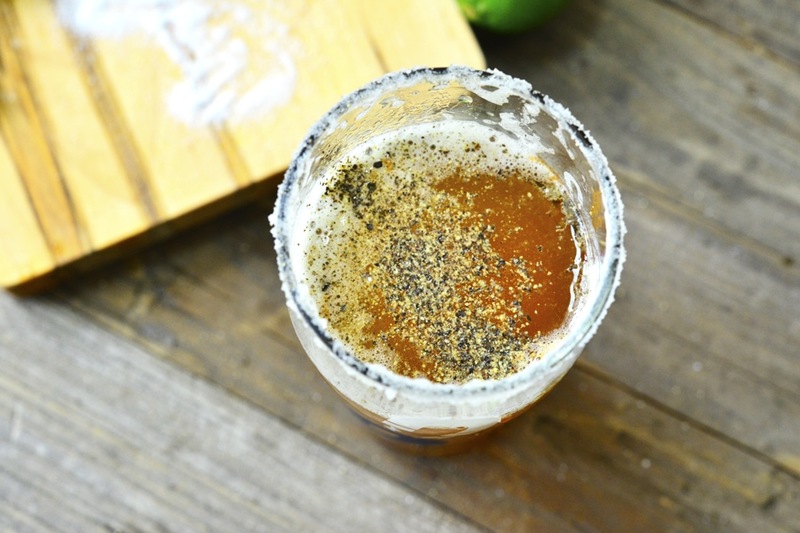 The version I created here involves traditional Michelada ingredients, but I’m using Omission Beer, which makes it extra special, and completely universal because it’s crafted to remove gluten. 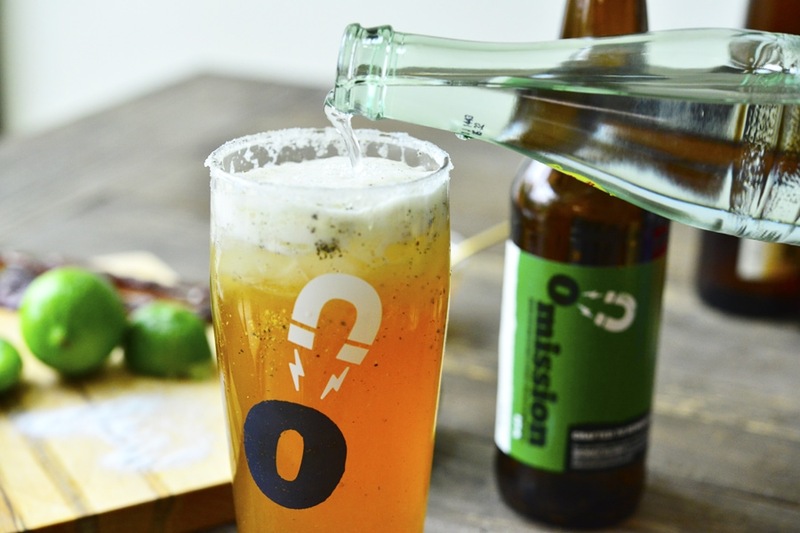 To give you an overview, Omission is known for their gluten-removed specialty craft beers. 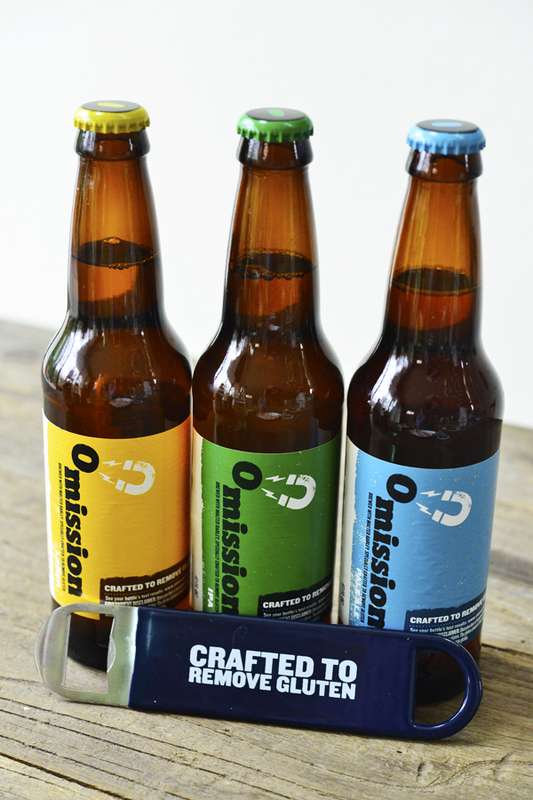 They have three different types, all great-tasting– lager, IPA, and pale ale. 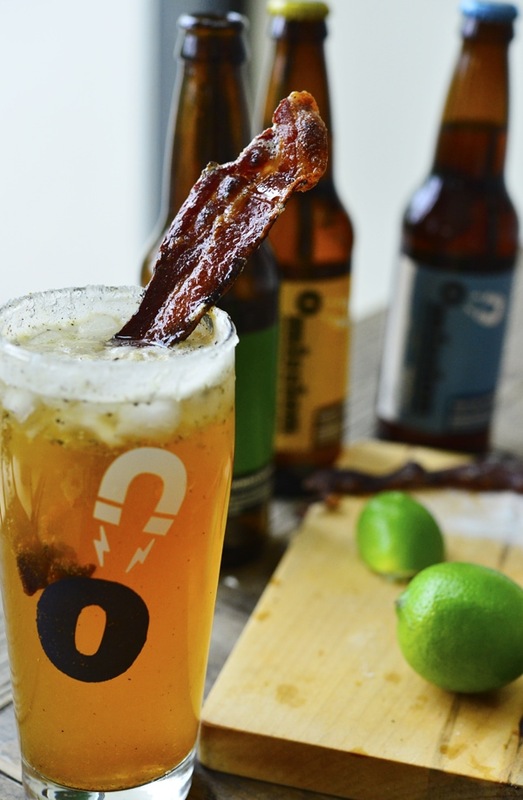 To make this drink even more enticing, we’ve added a garnish of bacon candied with Omission Beer as well, because let’s be honest, everything is better with beer or bacon and when you put the two together, well, magic happens. To start, preheat the oven to 400 degrees. 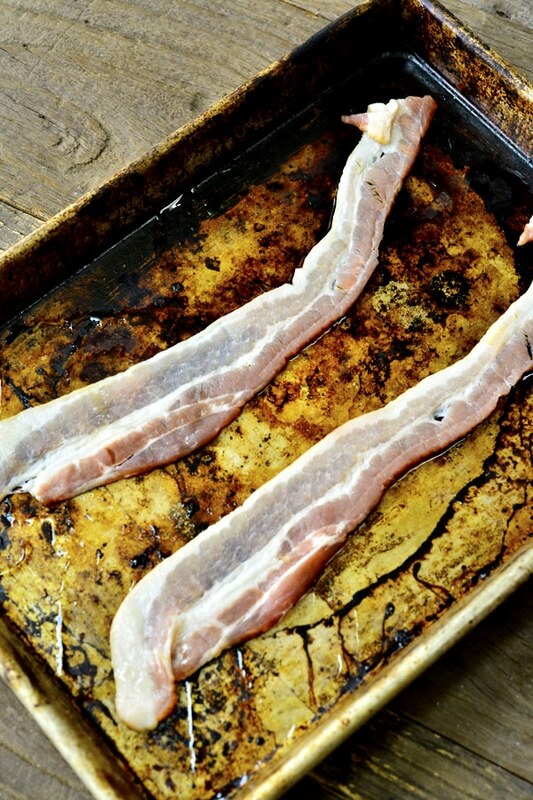 Place the strips of bacon onto a lightly grease baking sheet, and then cook in the oven for 10 minutes. 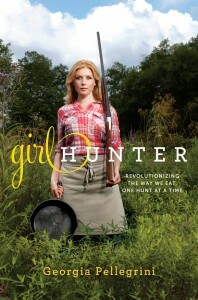 Meanwhile, begin making the syrup. In a small bowl combine the brown sugar and 4 tablespoons of Omission beer. We used the IPA. 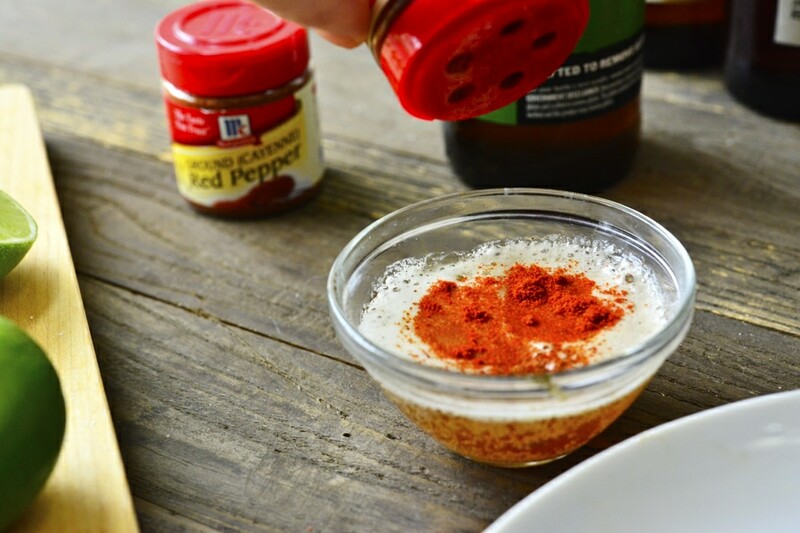 Add a dash of smoked paprika and a dash of cayenne pepper. 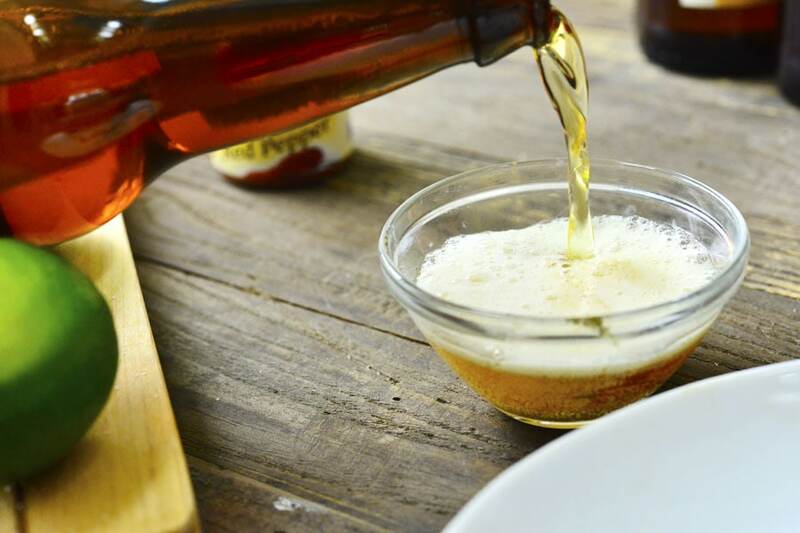 Stir well until all the ingredients are dissolved and it becomes a light syrup consistency. 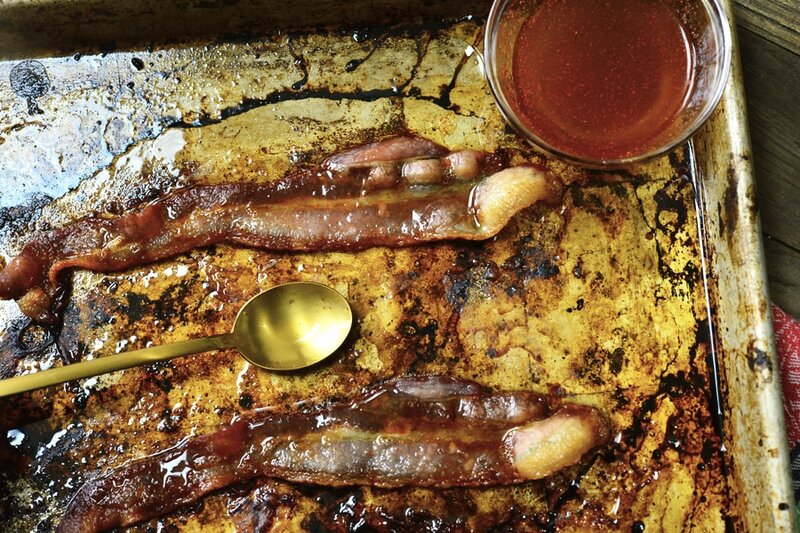 Remove the bacon from the oven and brush the syrup onto the bacon strips. Flip and brush the other side as well, and then return to the oven to cook for an additional 10 minutes. 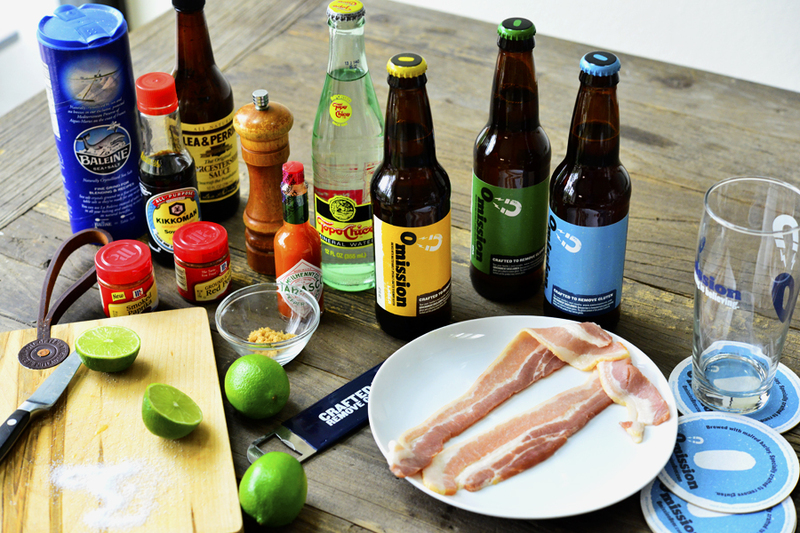 While the bacon is getting caramelized and delicious, assemble the drinks. 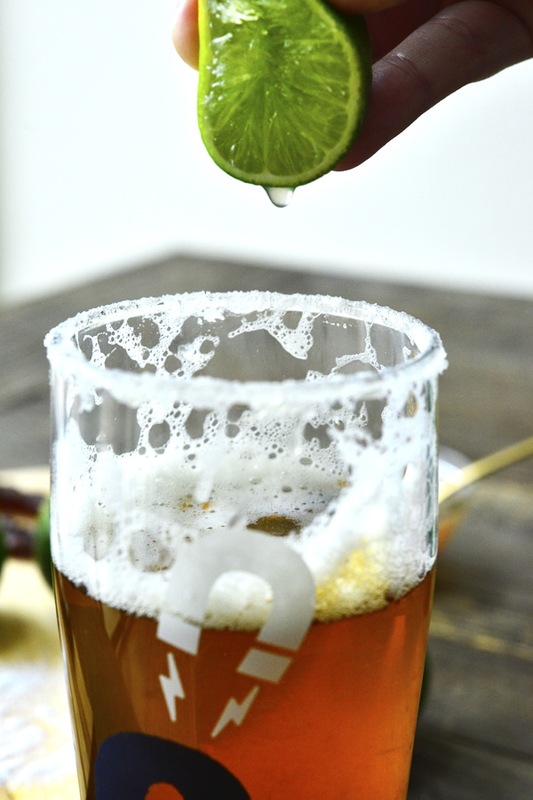 Coat each rim of the glasses with a lime wedge. Then dip the rims into the sea salt. You know the drill. 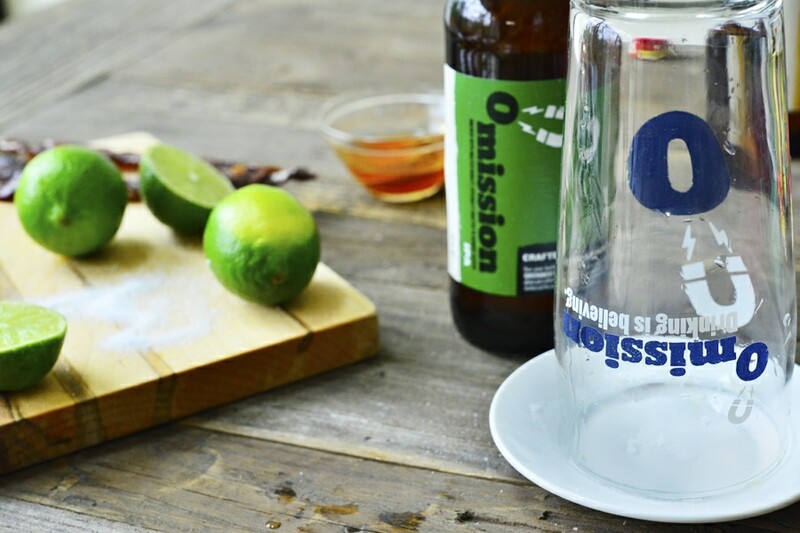 Next, pour the Omission IPA beer into the glasses. Here’s where things get serious. Add in the Worcestershire sauce. Lime juice. 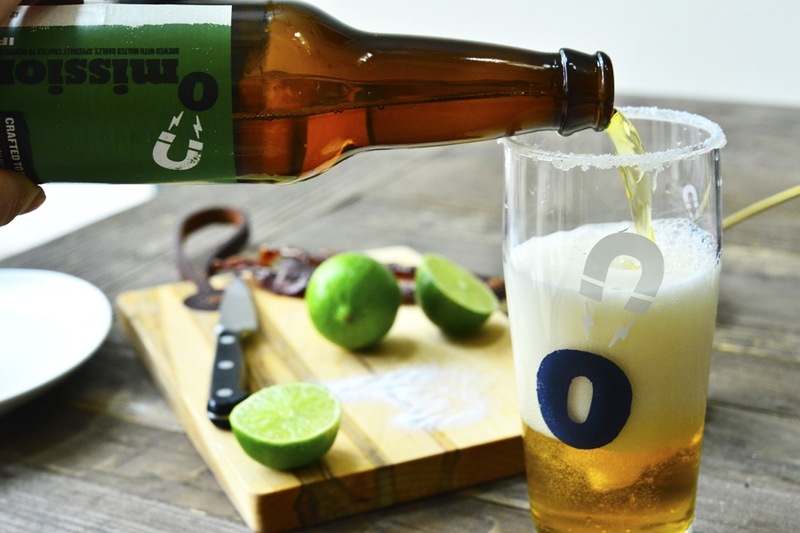 This gives the Michelada a hint of tartness that is amazing. And lastly, the cracked peppercorn. Top it off with seltzer water and crushed ice. 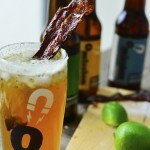 Last but not least, drop in the candied beer bacon strips to act as a stirrer or garnish. This is my new favorite beer. 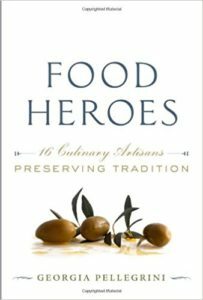 The flavors of each one are fantastic and I also feel great after drinking them. 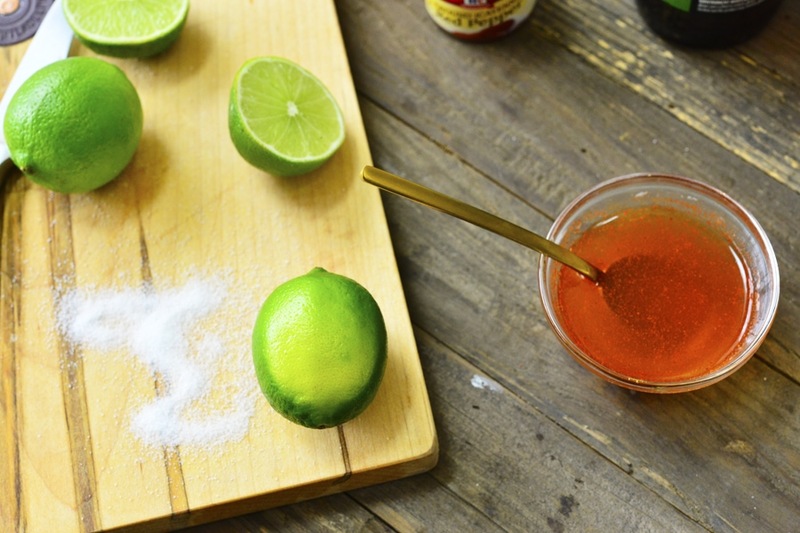 Add in these Michelada ingredients and you spice it up with a perfect balance between tangy and salty. It’s the perfect brunch or party drink and the presentation is just ahhh-mazing. Try this out friends! And tell me what you think. 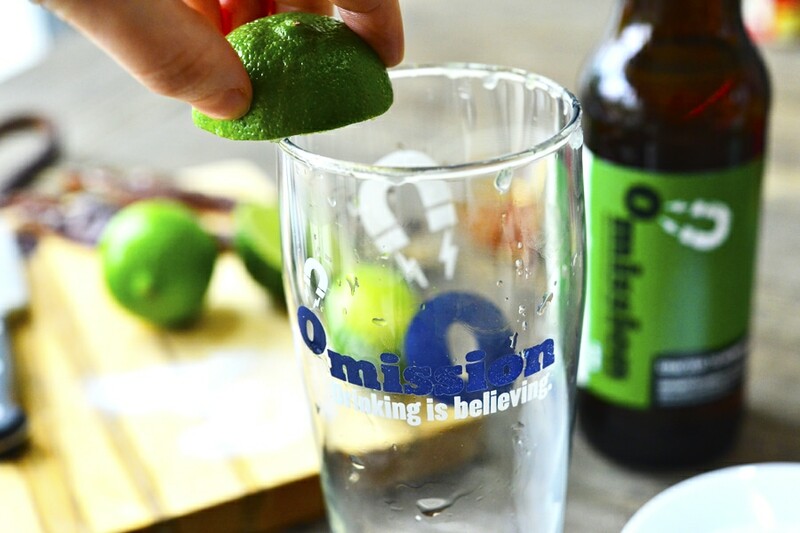 If you want to find Omission Beer near you look HERE. 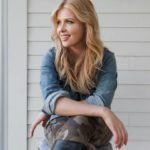 And check them out on Facebook, Twitter + Instagram to see the latest happenings. 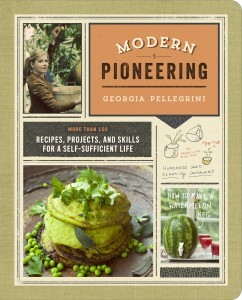 And keep your eyes peeled on my Facebook, Instagram + Twitter for a giveaway soon! Do it! You will love this version and you will love this beer as well.